VietNamNet Bridge - A study by the Ministry of Natural Resources and the Environment (MONRE) shows that one of the most critical problems for environmental security is climate change. Climate change has made natural disasters, especially storms, floods, and droughts, increasingly worse, causing environmental upheavals and ecological crisis, which threatens national security. According to the "Global Climate Risk Index 2016", Vietnam is ranked seventh in terms of long-term climate risk in the world. The Institute of Meteorology, Hydrology and Climate Change confirmed that over the past 30 years, natural disasters caused 500 deaths and missing people, injured thousands of people, and damages worth 1.5 percent of GDP each year. On average, Vietnam suffers 6-7 typhoons each year. In 1990-2010, Vietnam experienced 74 floods. Typhoon Linda in 1997 which hit the south caused great damages, leaving nearly 3,000 dead and missing, destroying more than 100,000 houses and over 300,000 hectares of rice fields. 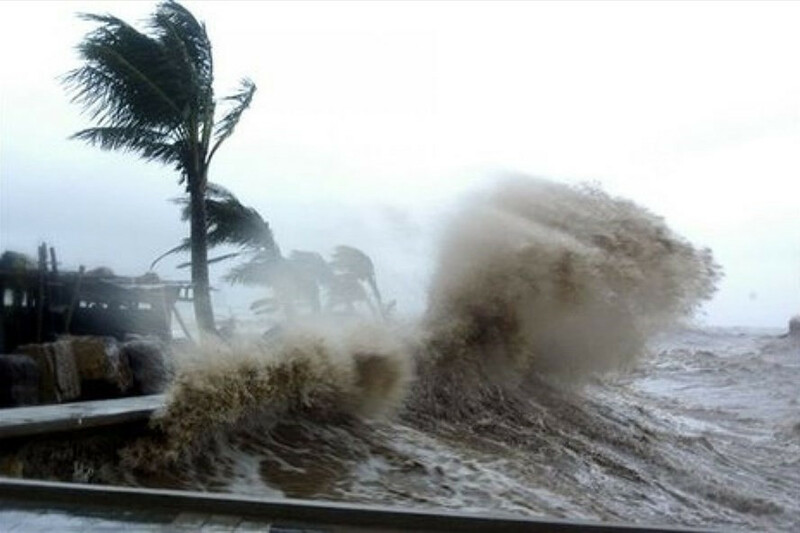 Typhoon Xangsane in 2006, which landed in central provinces, left 76 dead and 532 missing people. In 2011 - 2015, natural disasters caused 1,141 deaths and missing, resulting in property losses estimated at VND55,400 billion. According to the General Statistics Office (GSO), in 2016, severe cold spells in the northern mountainous areas, severe floods in the central region, droughts in the Central Highlands and saltwater intrusion in the Mekong River delta all seriously affected business and people’s lives. In 2016 alone, disasters caused 248 deaths and missing, with 470 injured. The total value of damages caused by natural disasters in the year was estimated at VND18.3 trillion. The climate change scenario for 2016 showed that the average temperature in the whole country increased by about 0.62°C in 1958 - 2014. The average sea level in 1993 - 2014 was 3.34 mm/year higher. The figure was 5.6 mm/year in the southern coastal areas of the central region. According to one scenario, the sea water level would rise 22 cm by 2050 and 53 cm by 2100. According to the worst scenario, the figures would be 25 cm and 73 cm, respectively. If the sea level rises by one meter and there is no solution, about 16.8 percent of the Red River Delta area, 1.5 percent of the central coastal provinces, 17.8 percent of the area in HCM City and 38.9 percent of the Mekong River Delta area would be inundated under water. The Mekong Delta is the rice bowl of Vietnam and a major producer for the world. Vietnam has been deploying many climate change adaptation models in different localities. Thanh Hoa, Nghe An and Ha Tinh models have been praised.